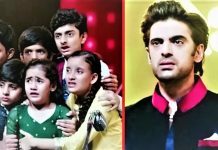 Kulfi Kumar Bajewala: Kulfi gets overjoyed knowing she is Sikandar’s daughter. She runs to tell everyone that she is Sikandar’s daughter. She thanks the Goddess for this miracle. She just wanted him as her dad. She feels her dream has turned true. She recalls her journey with Sikandar. She gets too emotional thinking of Sikandar. She recollects Sikandar’s words. However, her happiness gets short lived when she realizes that Sikandar is the man who left Nimrat and her, when they needed him the most. He wants to know if Sikandar has abandoned Nimrat and gave her the big share of sorrow. She can’t believe that a good person like Sikandar can do this bad thing. She gets confused about Sikandar. She asks Sittu to tell her and explain if Sikandar is a good person or not. She demands him to answer her what she is asking. She asks him not to fool him, she has a right to know the truth of his parents’ relationship. She feels she should confront Sikandar for cheating her mother. She asks Sittu to help her clear the dilemma. Sittu tells her that he doesn’t know about Sikandar. Sikandar gets his family back. He tells them that Kulfi is gone away. They try to help him and set everything fine. Sikandar learns that Lovely and Amyra have tricked Kulfi to make her leave the house. Sikandar gets too angered. Sittu tells Kulfi that Sikandar has come to him to ask about her. 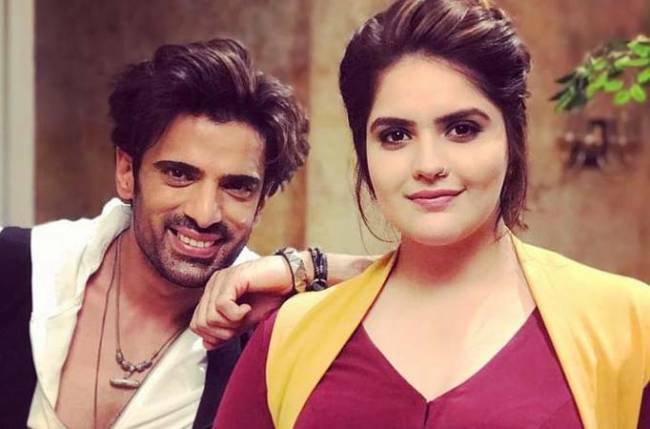 He reveals how bad he felt on meeting Sikandar after Nimrat’s death. He too didn’t wish to forgive Sikandar before. He tells her that he didn’t tell the truth to Sikandar, so that he doesn’t get daughter’s love in his life. He tells Kulfi that Sikandar has no idea about Nimrat’s death, he isn’t at fault completely. She asks Sittu not to lie to her about Sikandar. He tells her that Sikandar deserves to get her now, since he loves her a lot. She feels the pain. Sikandar gets upset with Amyra. He vents out his frustration on Amyra. Lovely tells him that he doesn’t love Amyra, knowing she isn’t his daughter. He tells her that Amyra will always be his daughter, but she is the liar and deceiver who will believe in relationships. Lovely fights for her daughter’s rights. Sittu tries to give answers to Kulfi. 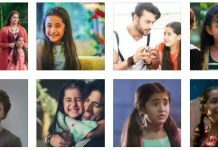 Kulfi tells Sittu that Sikandar loves her a lot and even fights with his family for her sake. She wants to know why he betrayed Nimrat. He asks her to meet Sikandar and seek answers from him. Sikandar tells Lovely that he has a true relation with Kulfi. He loves Kulfi and Amyra unconditionally. He feels Lovely can never understand their relations. He has a belief that Kulfi will come back to him. Sittu tells Kulfi that if Sikandar tells her about Nimrat, then Lovely and Amyra’s future will be at stake. Kulfi understands that Sikandar is in fix. Sittu tells her that he will take her back to Chirauli if she wants to. He leaves the big decision on Kulfi. She gets in dilemma over going back home and meet Sikandar.